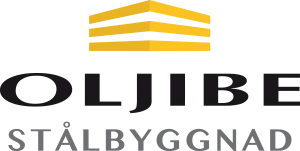 Oljibe Stålbyggnads AB is a company with about 20 employees who work with large and small projects in welding and forging. Our staff has certified skills, and we have specialist in TR-Steel-N and IWS International Welding Specialist. All staff have documented education for all jobs and ID06. We offer a broad selection of steel constructions and welding/forging services within construction, industrial and property services. Our clients are primarily the middle-sizes and largest construction companies in Sweden like Skanska, NCC, Peab et al. Our experienced welders/forgers are certified according to SS-EN ISO 9606-1 or SS-EN 287 1, and offer us the opportunity to manufacture and assemble our own structures and forge products in steel, sheet metal, aluminium and stainless steel, without involving external actors. Thanks to our close cooperation with the company’s own design department and project engineers, we have established very favourable conditions for quality control, reliable delivery and innovation. Our broad knowledge and tradition allows us apart from the common work, specializes in complex, hard-to-reach missions that require more expertise, customization, and craftsmanship. From the 1st of July 2014, CE-marking will become mandatory for all steel members that are delivered to a construction site in Sweden.